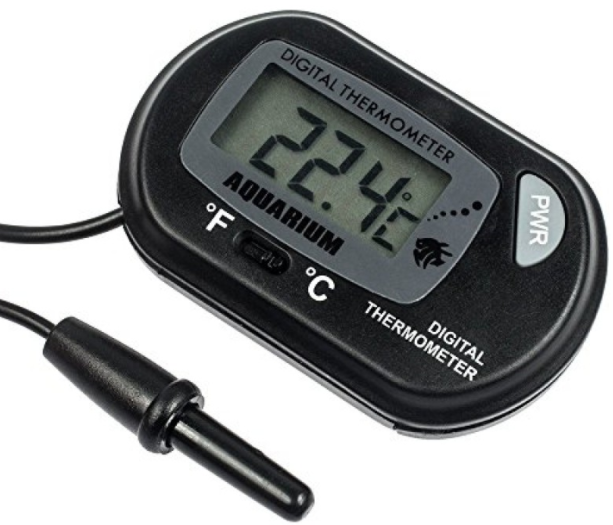 The digital aquarium thermometer is a must have for all aquariums. It has a large easy to read digital display even though the unit itself is small. The display unit get attached to the outside of the aquarium using the provided suction cup. The probe gets placed inside the aquarium with the provided suction cup. The thermometer allows you to switch between Fahrenheit and Celsius. The thermometer is battery powered and comes with batteries. No more having to worry about your fish bumping into the old glass thermometers and having to pick up shattered glass in the aquarium.